Here Are Few Law Dissertation Topics To Get You Started! Law is often referred to the set rules and regulations that exist in order to assist the lawmakers and the ones for whom the laws are made. For your degree, you would need to come up with up-to-date law dissertation topics initially. This initial step is pretty important for how your law dissertation is going to look when it is done. We do not mean that you would be required to submit your law dissertation to a judge in supreme but to your lecturer for the purpose of your course’s evaluation. You must have a look at more than one law dissertation example to make sure you are no kept from the tools of this trade. To help you further, in this blog, you would find yourself amidst an n number of law dissertation topics. Since it is for the grant of your degree or diploma or a certificate; you must not take it for granted and end up losing out on marks. To make your marks sealed, our law dissertation experts have compiled a special and highly explorable dissertation topics when you begin to lay your hands on a law dissertation. We have attached a list of law dissertation topics before we introduce you to how a law dissertation must be written in order to score the score you fantasise. We have handcrafted and simply presented to you the elements in the right sequence that must be adhered to in order to get yourself the best result of choosing one of the best law dissertation topics. If you already feel that the dissertation is taking a toll on you or your life, you are welcome year-round to contact our expert panel of law dissertation help who have handled and delivered a 92% of success rate in attempting to get students the scores of the top-tier. To tell you what we promised, without any introduction holding us back, allow us to impart information pertaining to the law dissertation topics that you seek! In delivery by FOC or CIF, is it a mandate for the transportation channel to be sea or the goods may be transported using a channel like land or air? The implications of the passage of risk in a FOB for the buyer. What type of costs may be present which are to be borne by the buyer? To identify and analyse the role of the United Nations Convention Against Transnational Organised Crime (UNCATOC) and Council of Europe Convention on Laundering, Search, Seizure and confiscation against illegal transportation of money. To identify, analyse, study and recommend improvements on the fraud exceptions that could exist under UC, UCP600 and English Law. To study a case study (any) which clearly states and practises the relationship between the shareholders and the directors. “a universal system of governance is not just desirable but irreplaceable when it comes to globalisation”. Critically describe and analyse. To study the various impacts of Administrative Enforcement of corporate criminal liability provisions that remain in countries like Saudi Arabia. To emphasise and examine the measure to which the act of company directors and the methods by which the law and similar laws could be further developed. To study if there is any existing clash between intellectual property law and competition law. A comparative analysis between liquidated damage clauses and penalty in a correlation and comparative context. To critically analyse what all factors contribute to the international labour organisation effect on the worldwide development of trade organisation and labour in the developing nations or the third world countries. (Nigeria Case Study). To propose solutions to the problem of child abuse and how respectful is the position of law in Tanzania. To pinpoint prospect reasons due to which the legal system of Ireland is still under construction with arbitration. To emphasise and shed light on the Oil and Gas Industry Act (2010). To develop, fabricate and furnish the importance of good faith and trust when it comes to construction contracts between two or more parties. To compare the English Law with Force Majeure in Saudi Arabia in contact of the contractual commerce. To determine the contract and its formation all depends on the real intention of the parties is nothing but a myth to perpetuate a hoax. One of the most important elements of a law dissertation is the style of referencing. It just cannot be MLA or APA or Harvard or any other style; it has to be strictly OSCOLA (see below). 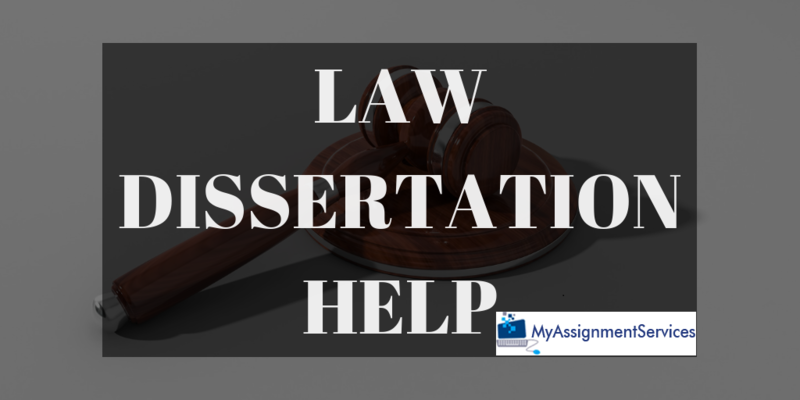 The experts we possess who voluntarily take charge of your dissertations have a plethora of law dissertation topics and law dissertation examples to show to you for your understanding. They are just a click away and could be availed of via our consultation services. You may contact My Assignment Services UK for your reference and score while we take care of your business!